Another month; another cultural exploration. This time, ISH residents congregated in the Great Hall to celebrate Japan Night, courtesy of our own Japanese residents. The Hall was impressively decked out – of particular note was an impressive floral arrangement artfully arranged around the chandelier in the center of the room; a wonderful nod to the arrival of cherry blossom season in DC. 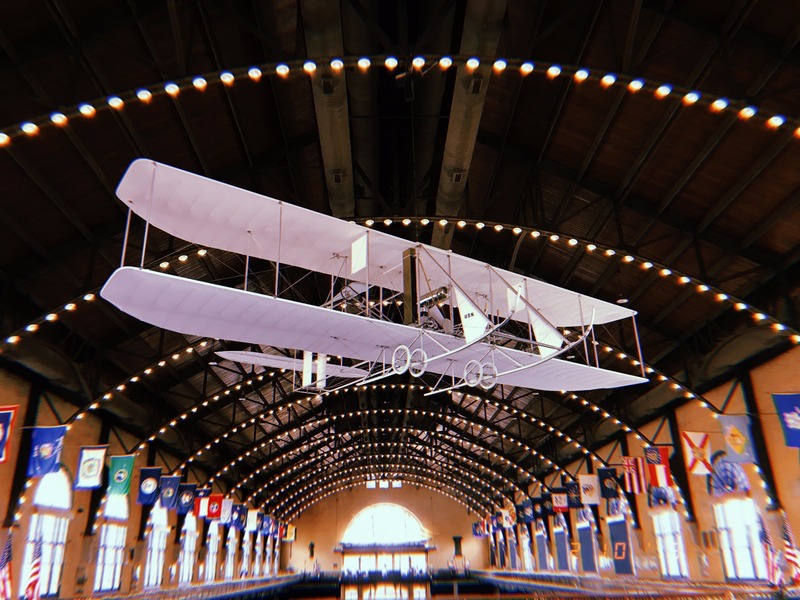 With residents in colorful yukatas and a variety of colorful games and masks displayed, the Hall was transformed into a vibrant wonderland for a few hours, a delightful reflection of the dynamism of modern-day Japan. No ISH party would be complete without food or drink and a good array of Japanese snacks and drinks were set out for residents. I watched as ISH resident Yudai attempted to explain what daifukumochi was to some residents before they, smartly, decided to try some for themselves. (According to Wikipedia: “Daifukumochi, or Daifuku, is a Japanese confection consisting of a small round mochi stuffed with sweet filling, most commonly anko, sweetened red bean paste made from azuki beans: But honestly, you should probably just try it for yourself.) You’ve maybe tried a Kit Kat before, but probably not in the flavours on display at Japan Night. There were also different flavours of Pocky sticks (long biscuit sticks covered in chocolate coating), and my personal favourite, Chocopies. The party began proper when ISH resident Yukiko presented a very exciting video introducing Japan, giving us a taste of everything from tradition to its modern day progress. Then, with a deftness belying years of practice, new resident Mao demonstrated a traditional Japanese dance. While I don’t have the proper words to properly convey the skill she demonstrated in her dance, her movements were impressively grounded while still conveying a remarkable lightness. After pleasing the many ISH Pokemon fans with photos, Pickachu stuck around and helped to host a rousing game of trivia about Japan. Spoiler alert: putting your hands together in a prayer like position and bowing is not a Japanese greeting. I don’t know who actually won the game, but I’m pretty sure we all learnt quite a bit. The end of the game was actually unclear because the last question revealed that quite a few of our fellow residents had birthdays close to that evening! The Japanese residents of ISH had very kindly arranged for cake (not one, but two!!) to be brought out in celebration of the occasion. It’s these moments of warmth and connection that make me grateful to live at ISH. After that, the night turned into a karaoke party, beginning with a rousing rendition of the very viral “Pen Pineapple Apply Pen” song. 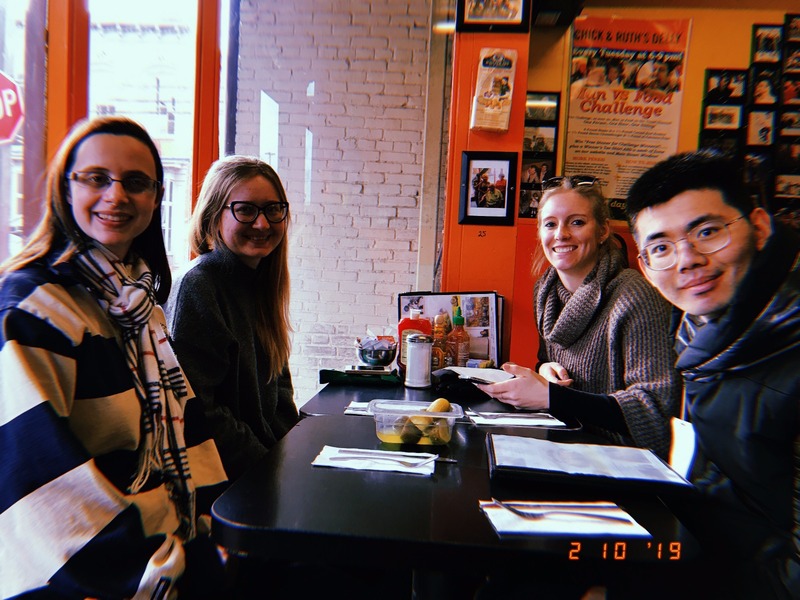 Somewhat ironically, or perhaps fittingly, the weekend also marked the departure of two of ISH’s Japanese residents, who returned to Japan to pursue jobs and school. 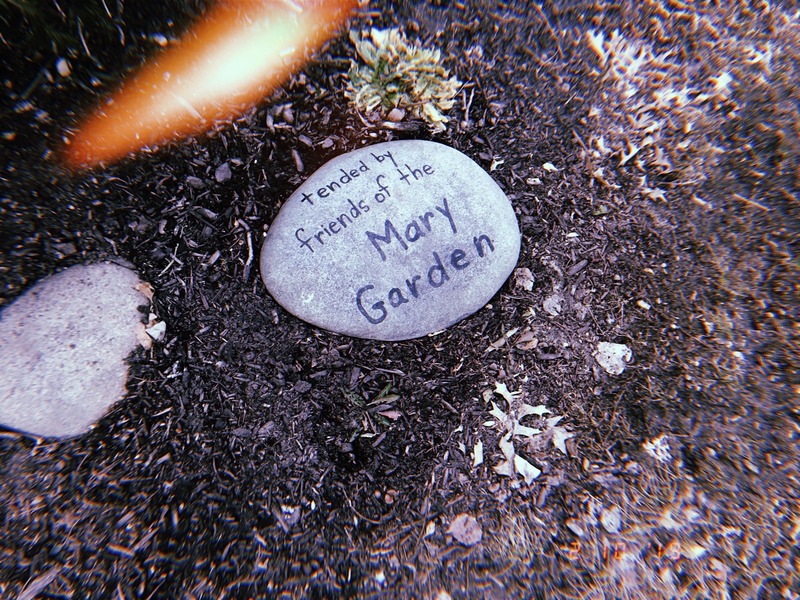 Both were extremely dear friends of mine, and mine was a pain that every ISH residents comes to know at some point. When you live together, your friends see you not just in your no-makeup state, but also in pajamas-and-bedhead-fresh-out-of-bed-disaster condition, in all your horrid-day-at-work-and-therefore-done-with-life glory, in your stressed-out-and-in-need-of-shoulder moods… and the list goes on. So having two of them suddenly not around is unsettling, to say the least. I keep thinking one of them is going to be coming down the stairs, or that I’ll find them playing piano in the Great Hall, or playing Catan in the Dining Room. I remember in particular one conversation over dinner, when we were talking about jazz bars. “‘When’? Not, ‘if’?” I asked, amused. As far as I’d known, I’d had no immediate plans to do so. “Yes, when”, my friend replied. So I suppose, even if seeing your friends leave is awful, having these friendships that you can be so certain about and confident in makes it all more than worth it in the first place. Everyday motivation? 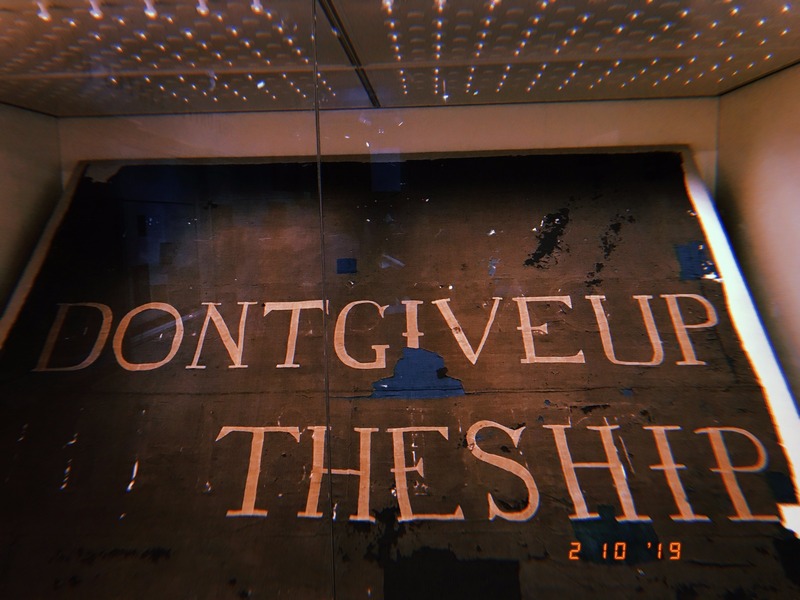 "Don't give up this ship" was the dying command of James Lawerence in 1813. 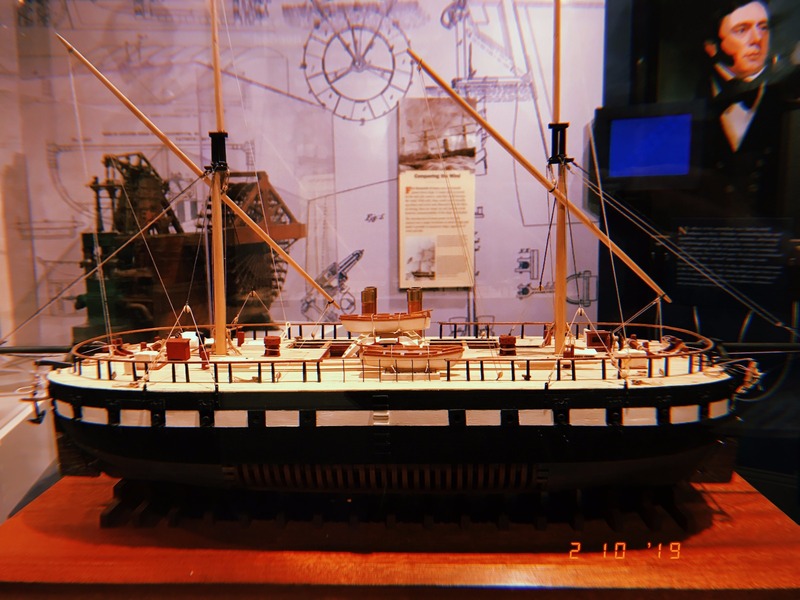 A model ship in the US Naval Academy Museum. 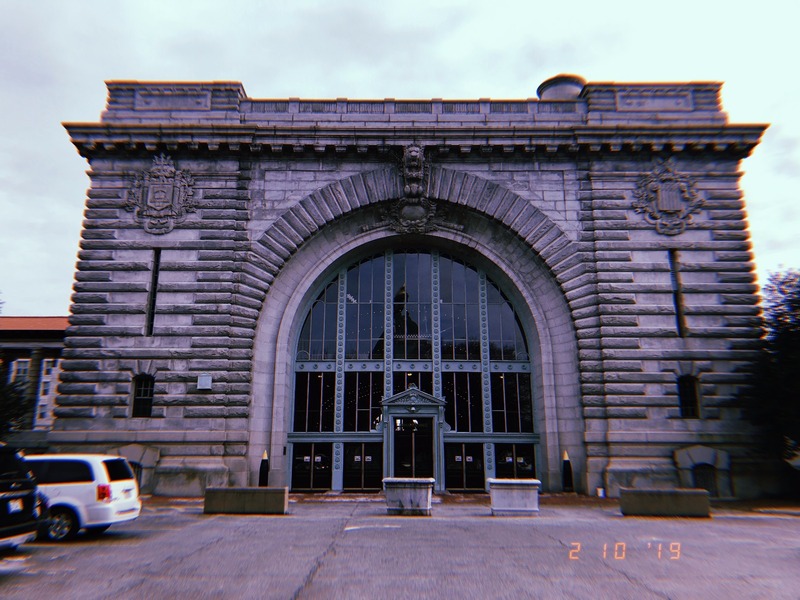 A photograph of what used to be an armory. A look inside the armory. 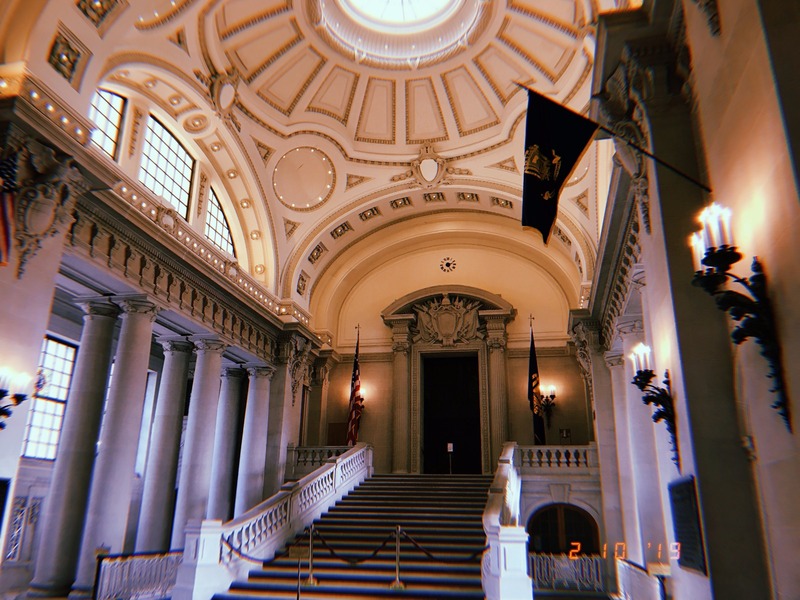 Inside Bancroft Hall. Fact: Only those with permission can enter through the main door. Everyone else has to use the two side entrances. After a greatly informative tour, it was time to rest and refuel. 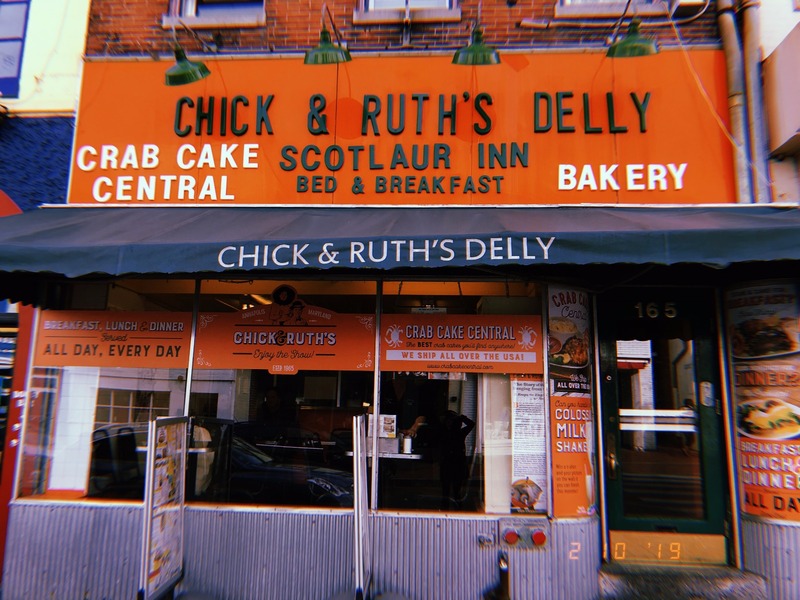 We ate at "Chick and Ruth's delly" an Annapolis landmark. Where's our food? We're hungry! 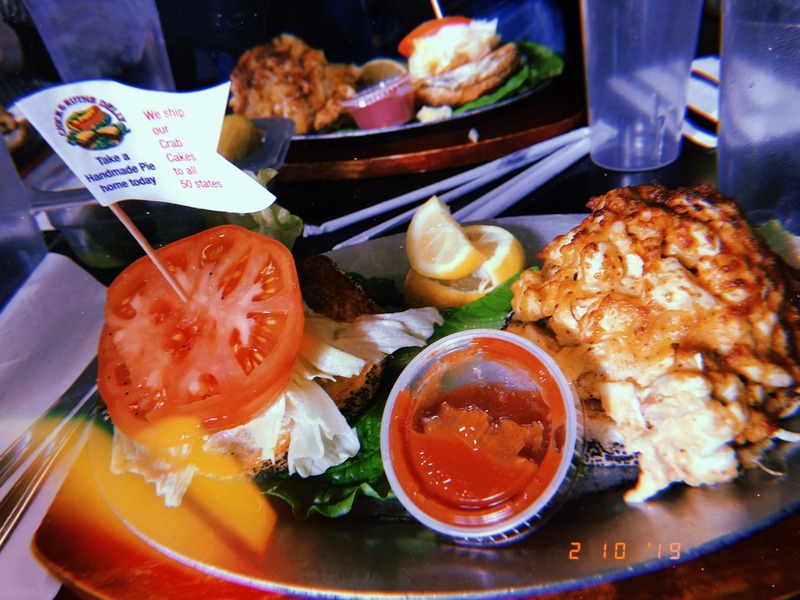 How can you leave Annapolis without trying their famous crab cakes? 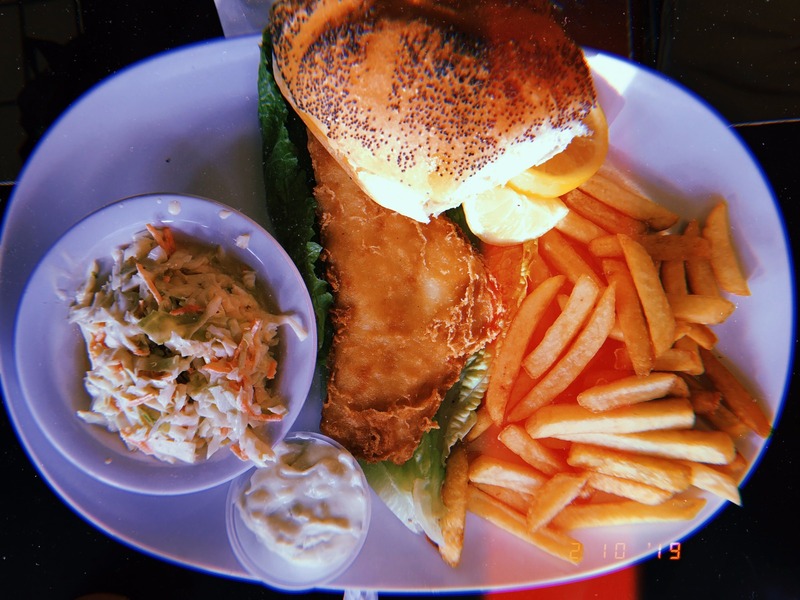 Anyone for traditional fish and chips? 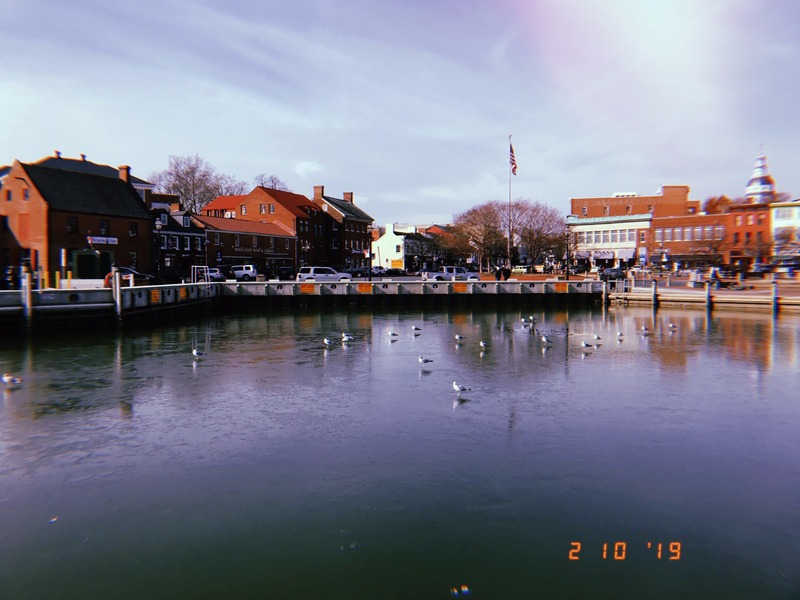 A walking tour of our own - Next, we pulled out a map of Annapolis (more like Google and Trip Advisor) and walked to each site. 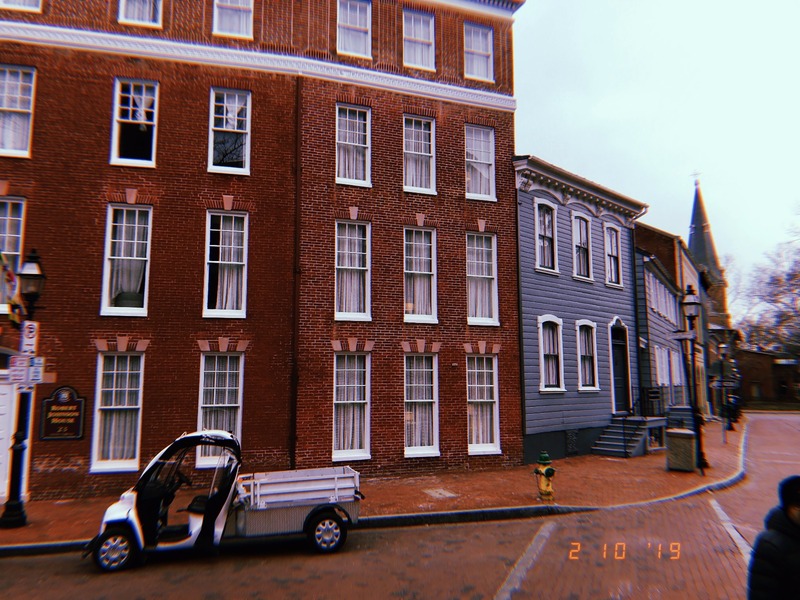 Brick homes and cobbled streets. 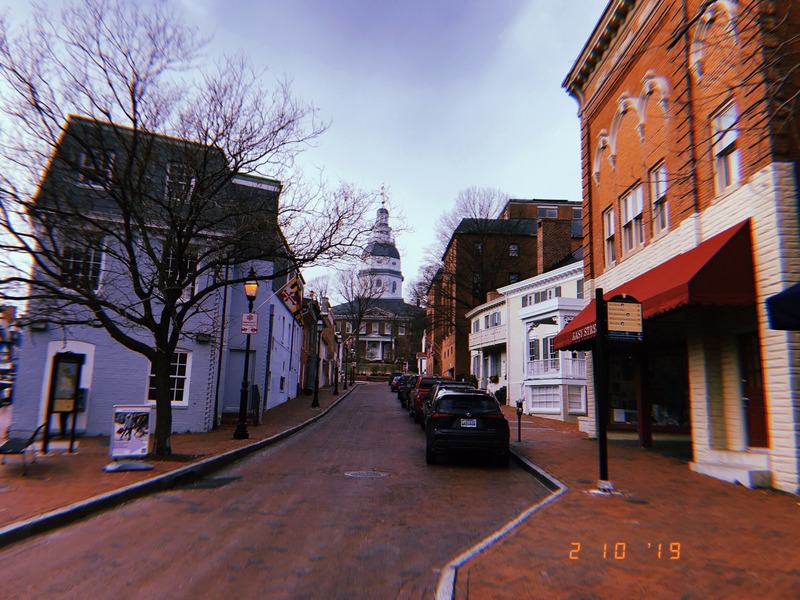 Annapolis, the capitol of Maryland. 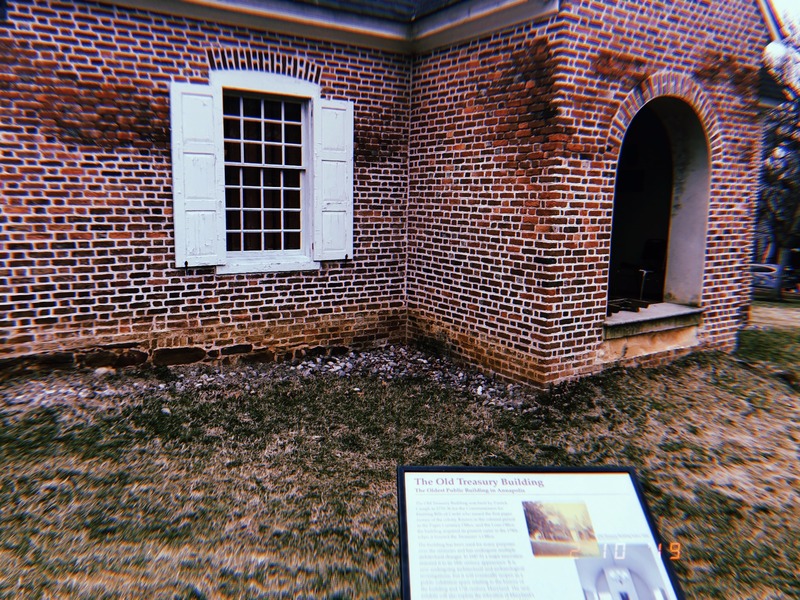 The Old Treasury Building in Annapolis. 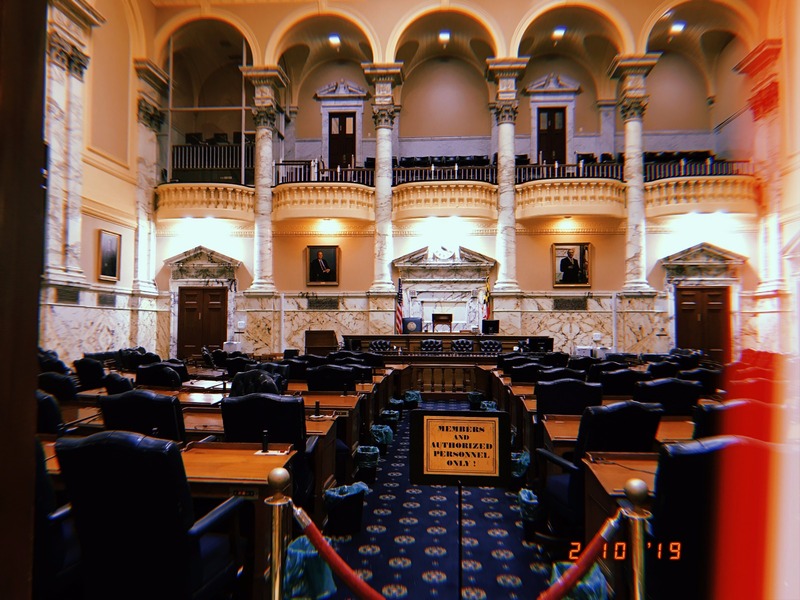 Maryland State House. Trivia: It's the oldest US state capitol in use and it has the largest wooden dome in the US, constructed without nails. Hello from our explorer (Raghu)!! A florist outside a cathedral. 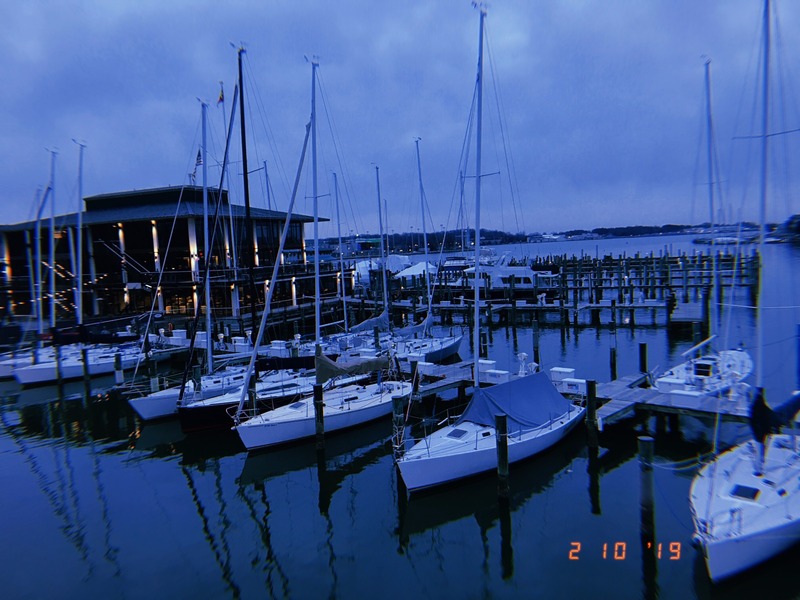 Annapolis at night. 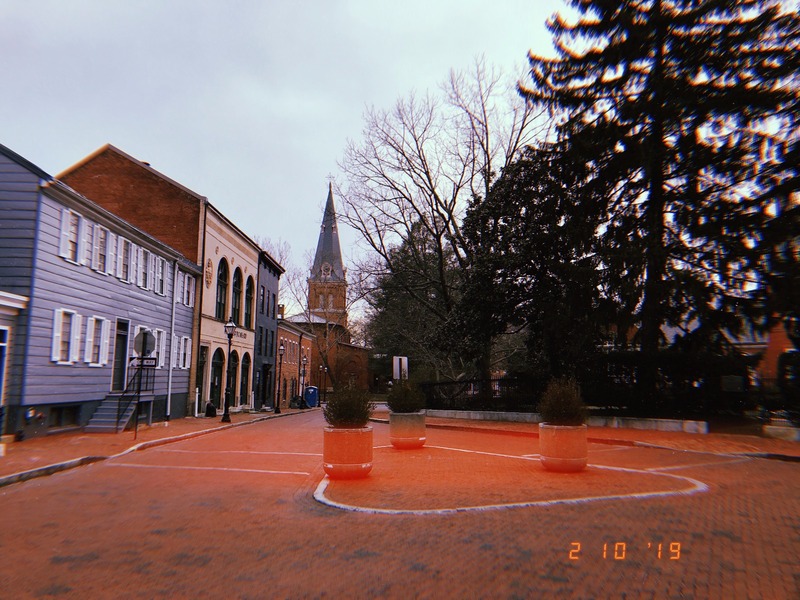 We stayed to see Annapolis through a different lens (night vision). A private club for members only. Back to where we began. ISH Tip: Never eat/drink at a chain or known restaurant when you're traveling to a new city. 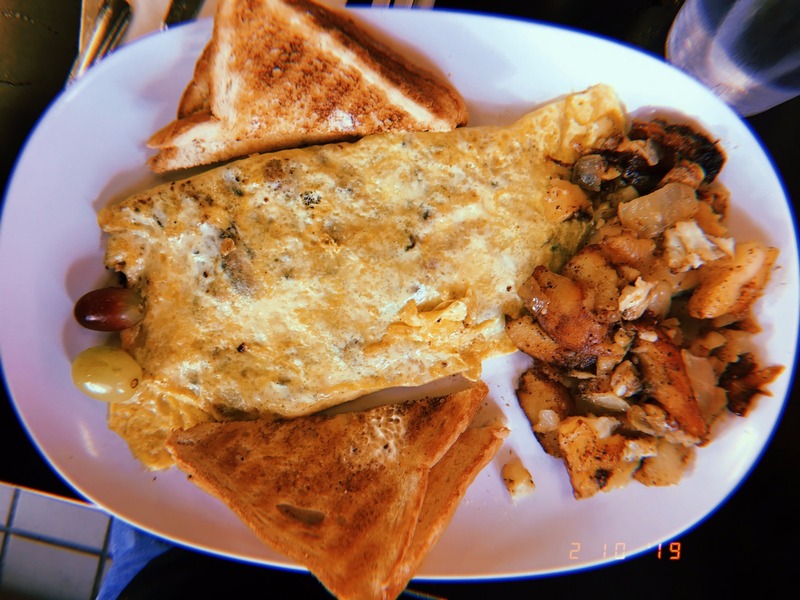 Skip the Starbucks and find a local cafe. So much so, that we even drank our goodbye coffee, tea and hot chocolate at a bar! 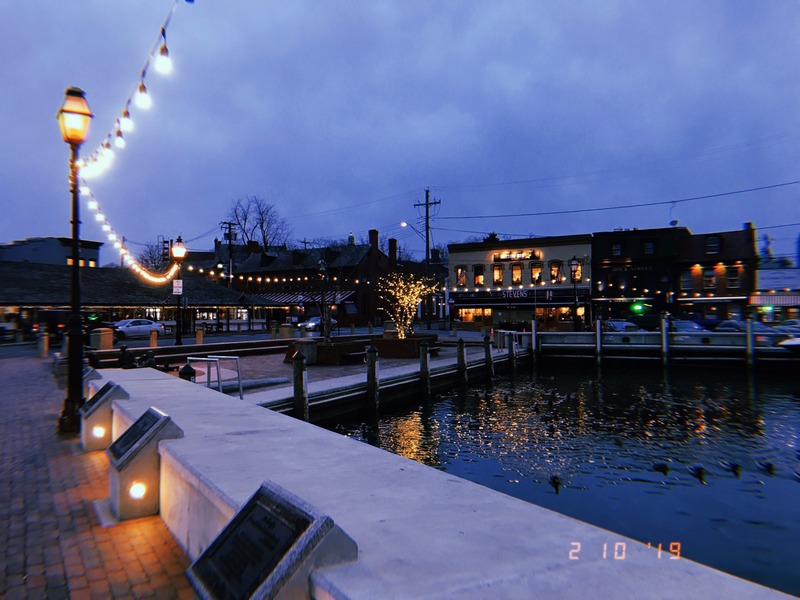 Annapolis is definitely on the ISH list of MUST VISITS. 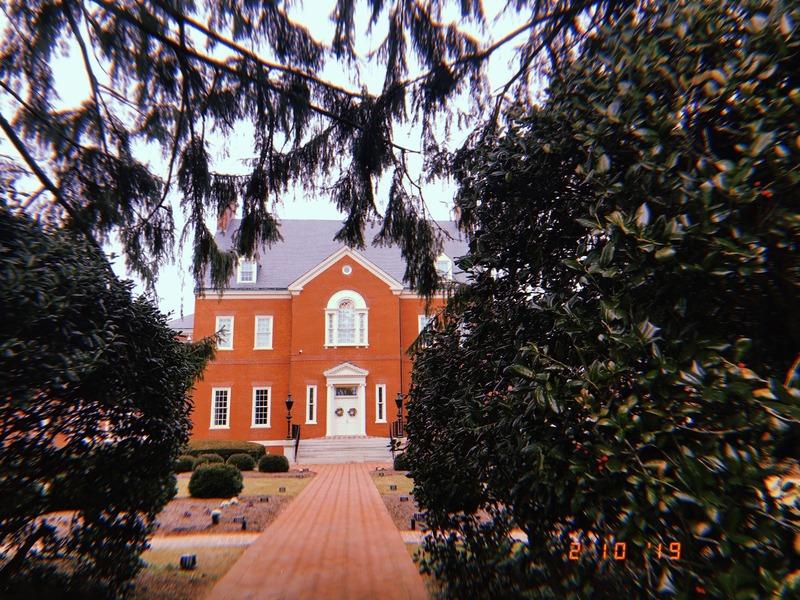 This half/full day trip takes you away from the DC work life and is a trip good for the heart, mind and pocket. A mind full of information and a heart filled with memories, we're on to the next adventure! ISH-DC knows how to give a good start to a month by throwing a bash. Friday, March 1, was Bollywood Night. The evening started off with a dinner to give everyone a little taste of India. The menu was lentil soup, mughlai chicken, bhindi masala okra, basmati rice, cauliflower and potato, and naan. The festivities didn’t stop there and neither did the touch of India, as many residents came dressed for the celebration. The party continued in the Great Hall and lasted all night. The hall was supremely decorated with four disco lights and tons of white sparkling lights lining the walls and crisscrossing the ceiling. The walls were adorned with Bollywood movie posters, and images of the most famous Bollywood actors and actresses in their iconic roles. A projector had been set up to display Bollywood movie clip music videos and extra speakers were brought up to pump up the volume. There was a singing performance by ISH-DC Alumna Adyasha. 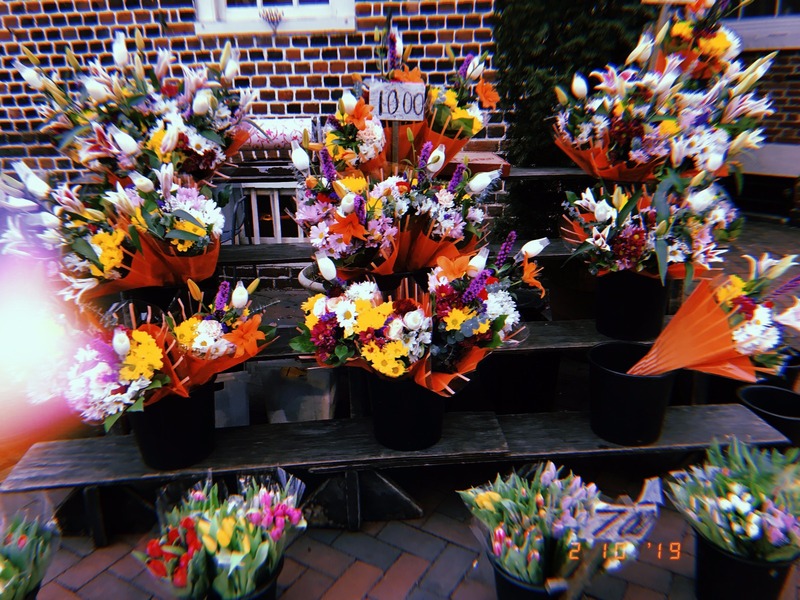 This was followed by a showing of the FRIENDS video shot by residents over winter break (learn more on the blog post “December @ ISH” by Aakriti Thapar). Then the ISH Bollywood Dance Crew took center stage for a three song performance covering decades of music styles (Ask a current resident if you want to see the video recording). The rest of night all residents were able to use the Bollywood photo booth, have some drinks (mango lassi as a special treat), eat some snacks, samosas and aloo chat (just to name the hot foods, which isn’t even mentioning an entire snack table), use henna to make themselves temporary tattoo artists and dance the night away. All residents got to learn a few new dance moves to get into the Bollywood style of dancing. 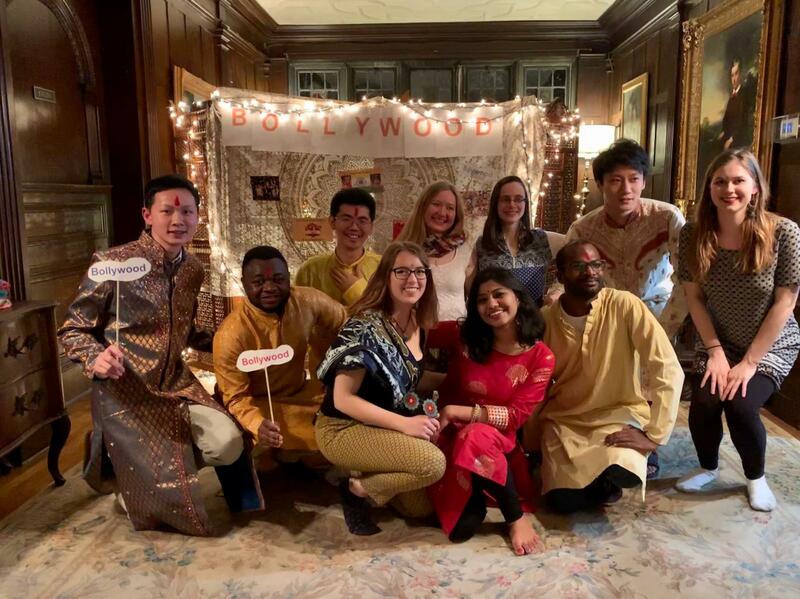 Bollywood night was not just a party – it was a destination. 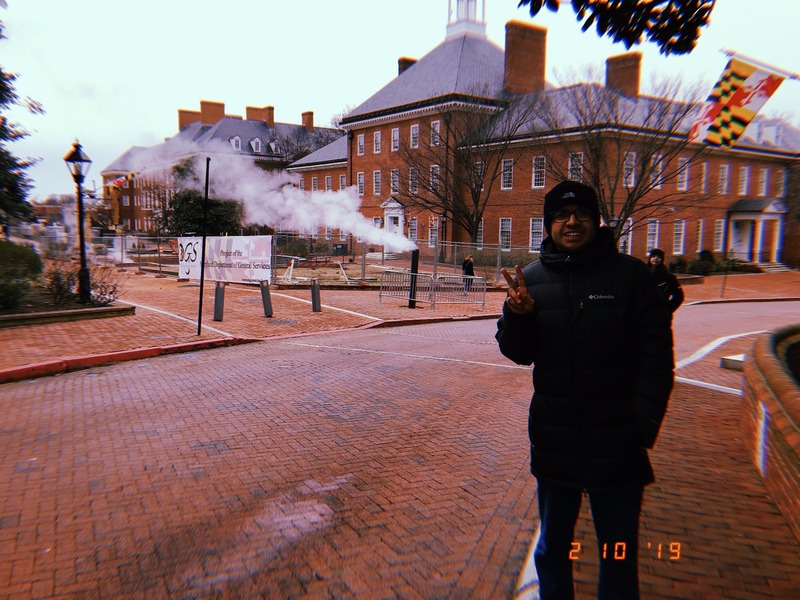 ISH-DC started February off with a bang. 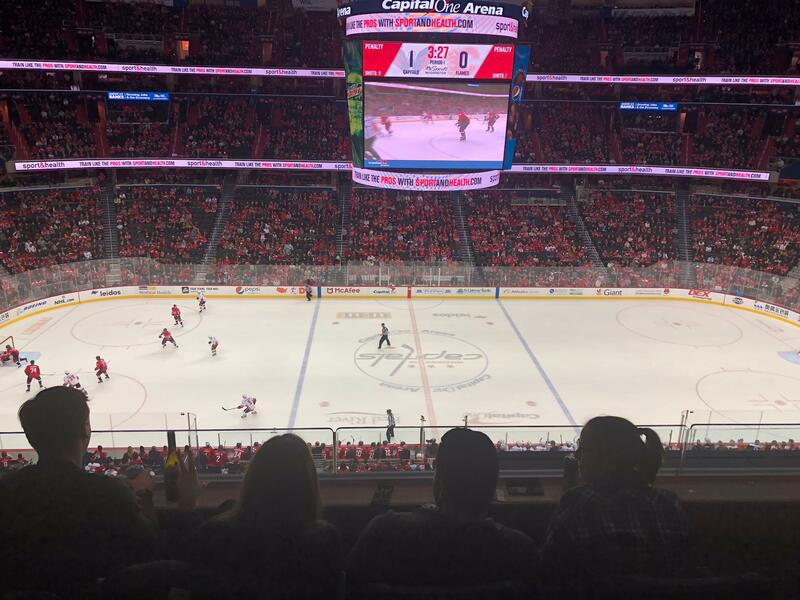 On Friday night, the 1st of February, 14 residents received tickets to attend the Washington Capitals Ice Hockey game for the suite of the Embassy of Qatar at the Capital One Arena. These donated tickets were a hot commodity. The suite was fully stocked with mini-burgers, chicken wings, popcorn, potato chips and a fully stocked fridge. The residents got to enjoy a game and dinner, with a great view of the rink. This game was the Washington Capitals versus the Calgary Flames. In honor of the Flames being a Canadian team, the Canadian national anthem started off the night followed by the national anthem of the USA. This was a tough game with two good teams going hard for the win. The first goal was scored by the Caps #ALLCAPS! This may have been foreshadowing for the final goal was scored in the last minute of the game by Caps player Evgeny Kuznetsov. The home team was victorious with a game ending score of 4 to 3 which ended the Capitals longest losing streak in five years. There was an immediate after game fight by all the players on the rink to the wild cheering of the crowd. The stadium seemed to be filled with spectators that preferred fisticuffs rather than ice hockey. This hockey game had it all. For many of the residents this was there first time at a live National Hockey League game. There were some comments amongst us about how the puck moves too fast for the eye to follow and perhaps watching it on TV with the slow motion replay might be a good way to familiarize oneself with the game. Nonetheless, the residents took it in stride and worked together to figure out the game. We also enjoyed the mini games that take place in between periods. The capitals had a quick kids game between the first and second period. They had a drone floating around the rink in between the second and third period, and they had plenty of mini games to keep everyone entertained during down time. I think I speak for all of us who attended to say thank you to the Embassy of Qatar for gifting the tickets. Then on Sunday the 3rd of February it was the LIII Super Bowl. 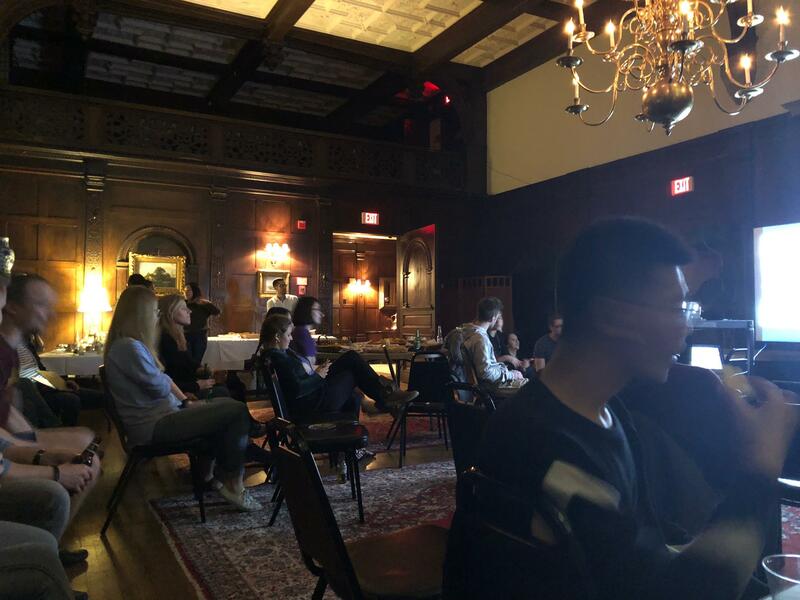 Thanks to our resident, Tami, ISH had a wonderful set up for all to come and watch in the Great Hall. 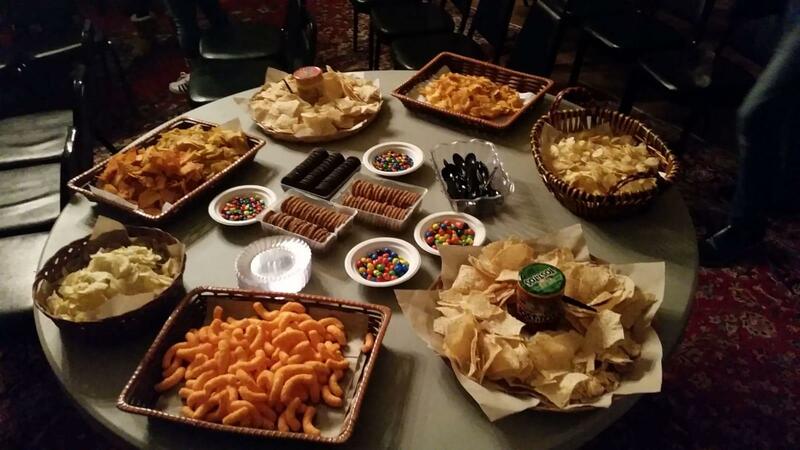 There was pizza, wings, chips, dips, candy, cookies and drinks. All of the typical Super Bowl foods, giving everyone the American experience. The majority of residents were rooting for the LA Rams over the New England Patriots. Sadly, the Rams were defeated with a final score of 13 to 3; however, ISH everyone still had a great time. We enjoyed the commercials, the halftime show, the game and the camaraderie. The halftime show was hyped up in the House, as there are many Maroon 5 and Travis Scott fans living at ISH this month. The Spongebob reference also got quite the holler. As for the talk of the night, well that was probably the commercials. 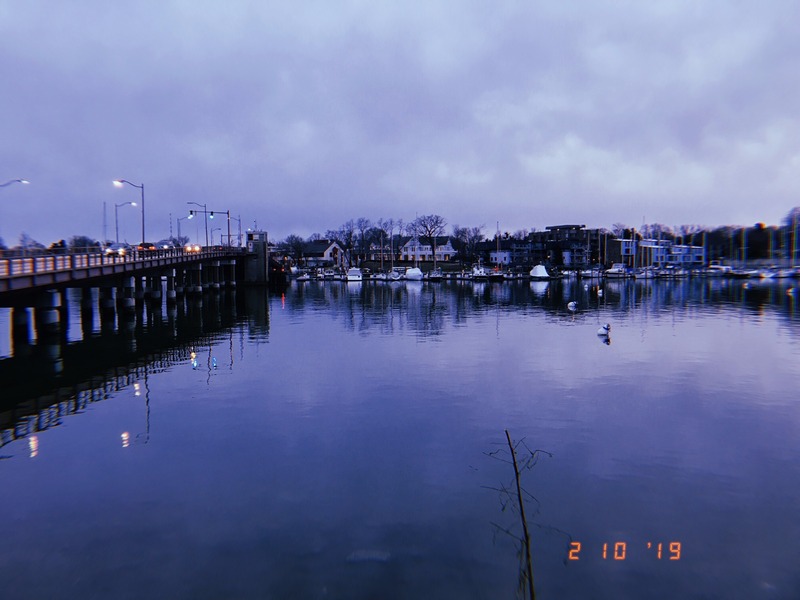 Many residents enjoyed the okay Pepsi commercial as well as the Captain Marvel trailer and Jordan Peele’s Twilight Zone. The Stella Artois commercial featuring Sarah Jessica Parker as Carrie Bradshaw and Jeff Bridges as “The Dude” got a big chuckle and started a bit of a chat. Another well complimented commercial was the one for Amazon’s Alexa featuring Harrison Ford and his dog. Everybody loves a dog that orders too much food for himself. 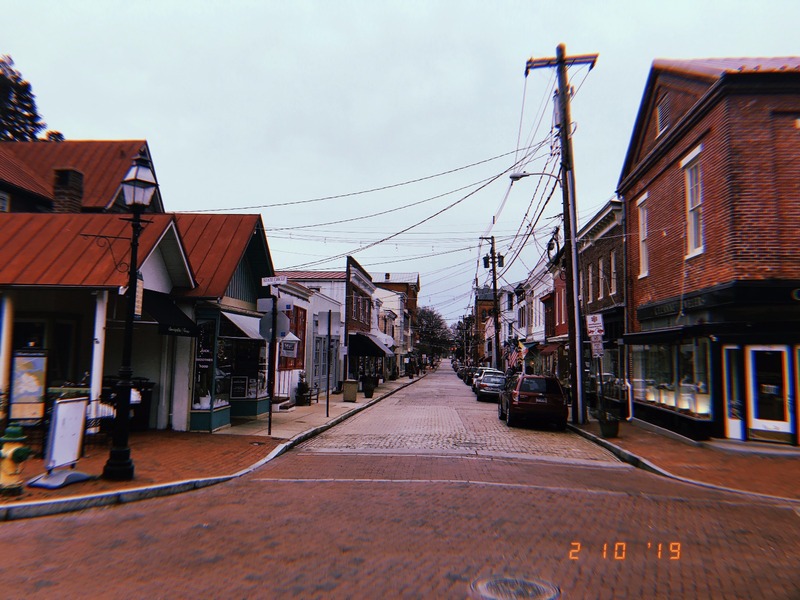 There were so many Budweiser (specifically HBO’s Game of Thrones themed) ads as well as T mobile advertisements that residents started calculating how much these companies were spending. This was a jam packed sports filled weekend and a great way for the House to get together. BlackKklansman This film has a high 95% rating on rotten tomatoes. Green Book 8.3/10 on IMDB and 81% on rotten tomatoes. We still have a long list of films to watch before the important night. And if anyone has any suggestions, get in touch with the informal ISH movie planning committee and get your popcorn ready!